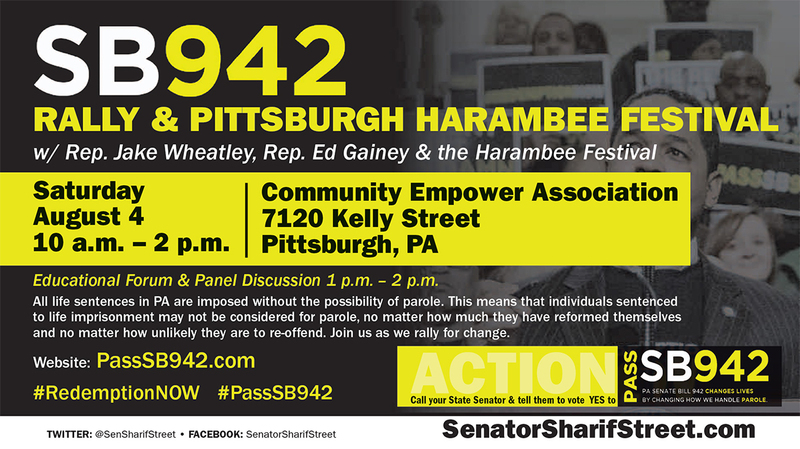 Pittsburgh, PA − August 2, 2018 − Saturday, August 4th, Senator Sharif Street (D-Philadelphia) will hold an Educational Forum with PA Representatives Jake Wheatley (D) and Ed Gainey, as a part of Senator Street’s ‘Redemption Tour’ to raise awareness of senate bill 942, ending life without parole in Pennsylvania. 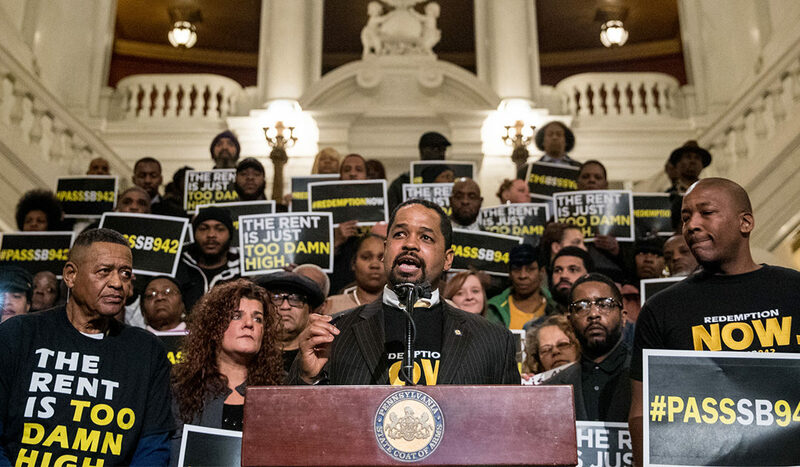 All life sentences in Pennsylvania are imposed without the possibility of parole. This means that individuals sentenced to life imprisonment may not be considered for parole, no matter how much they have reformed themselves and no matter how unlikely they are to re-offend. This includes many people who have never taken a life. Senate Bill 942 would permit an individual sentenced to life imprisonment under the laws of this Commonwealth to be considered for parole after serving a period of time. It also extends parole eligibility retroactively to those sentenced prior to the effective date of the legislation. The bill creates no right to parole, so it will not allow our most dangerous inmates to go free. The Commonwealth’s Board of Probation and Parole will continue to responsibly reject requests for parole from those who do not deserve it, or who present too great a safety risk to the public.